From November 6th to November 7th, the irose Social team hosted three top-tier Los Angeles influencer attendees (and their plus ones!) 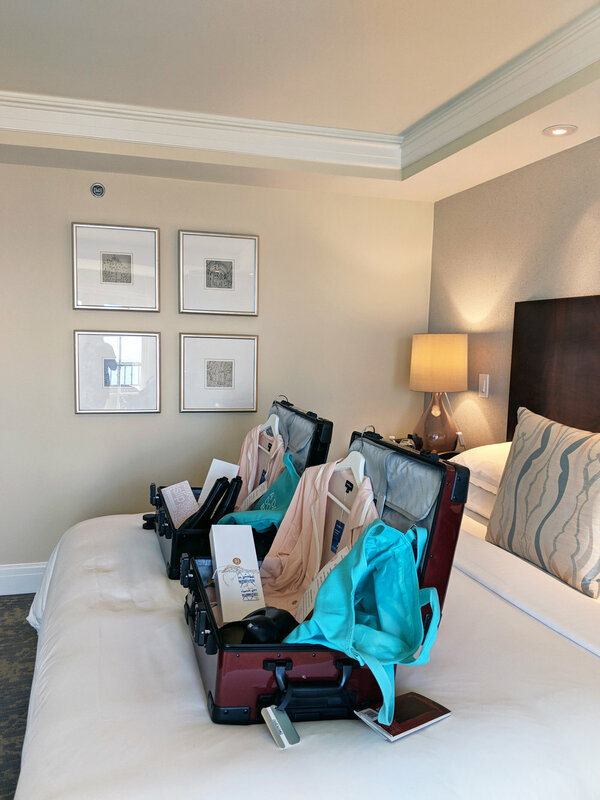 to a luxurious overnight staycation getaway at the Ritz Carlton, Laguna Niguel with Andiamo Luggage. From displaying brand new Classico Carry-Ons by Andiamo Luggage on each influencer’s King Bed to stocking both the luggages and luxe marble bathroom with much-needed travel essentials (skincare, cosmetics, footwear, sleepwear, etc. 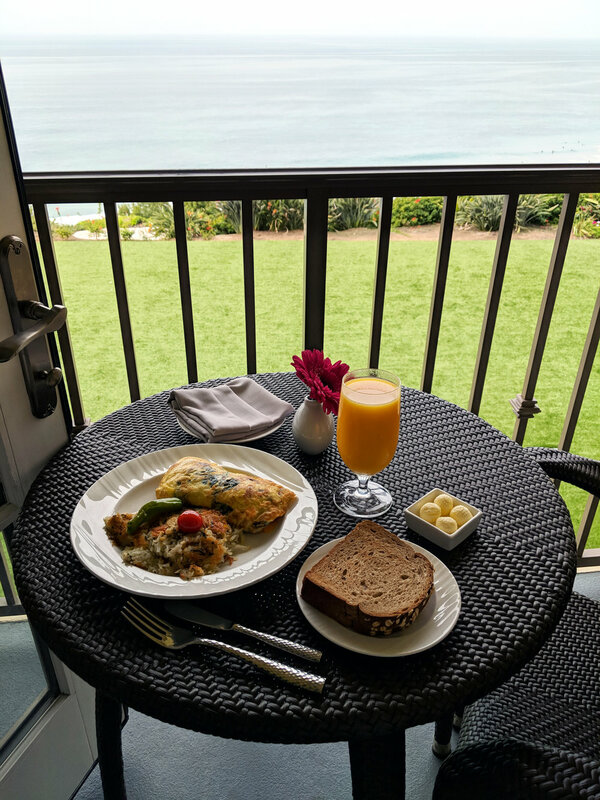 ), we wanted to ensure that our influencers were pampered and well taken care of as soon as they check into their Ocean View Guestrooms. From 2:00PM - 3:30PM, we allowed our influencers to check-in and settle into their hotel rooms before the festivities started! Thanks to the Ritz-Carlton staff, they surprised our guests with an intricate dessert spread that included a customized Andiamo Luggage Shortbread Cookie, three chocolate dipped strawberries, a piece of white chocolate shaped like a surfboard with the influencer’s respective Instagram handle on it, and a white chocolate starfish with crushed graham cracker crust “sand” lined underneath. 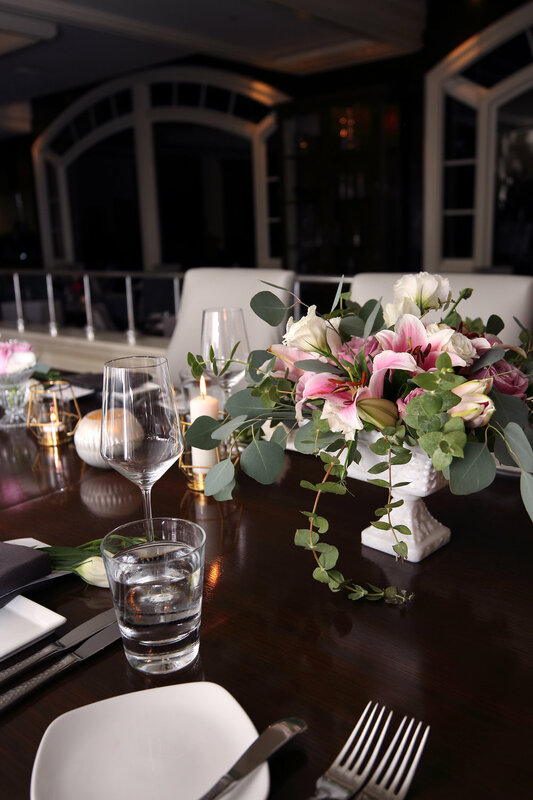 Once our photoshoot was over, it was time for an intimate candlelight dinner at Raya! Every seat displayed a personalized menu with each guest’s name written on the top header in intricate cursive lettering, followed by a list of pre-set appetizers, entrees, and desserts. As we dug into our delicious seafood entrees (which is what Raya is known for! ), we shared a few laughs and exchanged fun stories before heading to our respective hotel rooms for the night. Directly following morning yoga class, our influencers went straight to The Ritz-Carlton Spa to get pampered with a 30-minute California Dreamin’ Massage. We wanted our influencers to leave the property in a relaxed and blissful state, and a half-hour massage did just this! After their spa day, we allowed our influencer attendees to explore the property on their own for the remainder of the day. It was great to see our influencers get to know one another on a more intimate level at this staycation event all the while allowing them to take the time to relax. With every single irose Social event (be sure to search the hashtag #iroseEvent on Instagram for a gallery of our past media events! ), we aim to connect the influencer community through hosting intimate and exclusive activations. By keeping our events small-scale all the while maintaining quality and creativity, our main objective is to have our influencers to leave with in-depth connections and a memorable and fulfilling staycation experience. 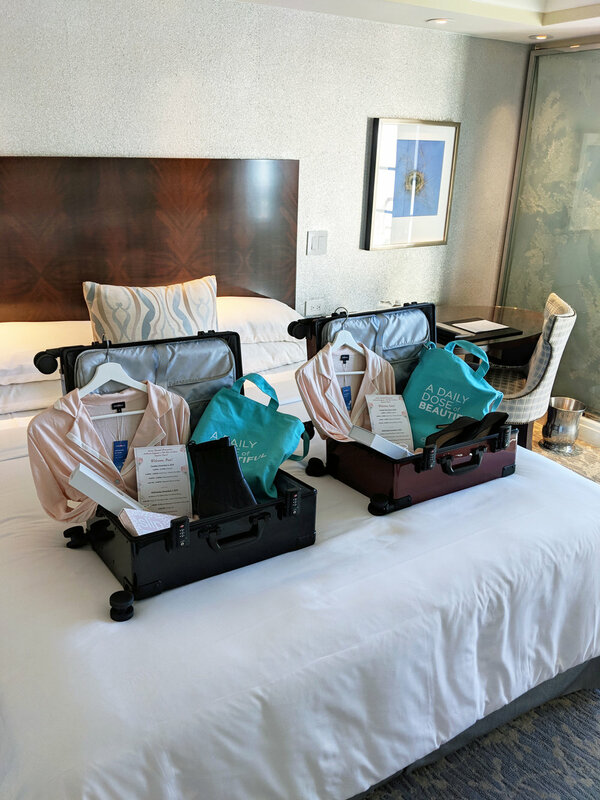 And with our recent “irose Social Presents: Overnight Staycation at The Ritz-Carlton, Laguna Niguel with Andiamo Luggage” event, our team is confident that we’ve accomplished our mission. 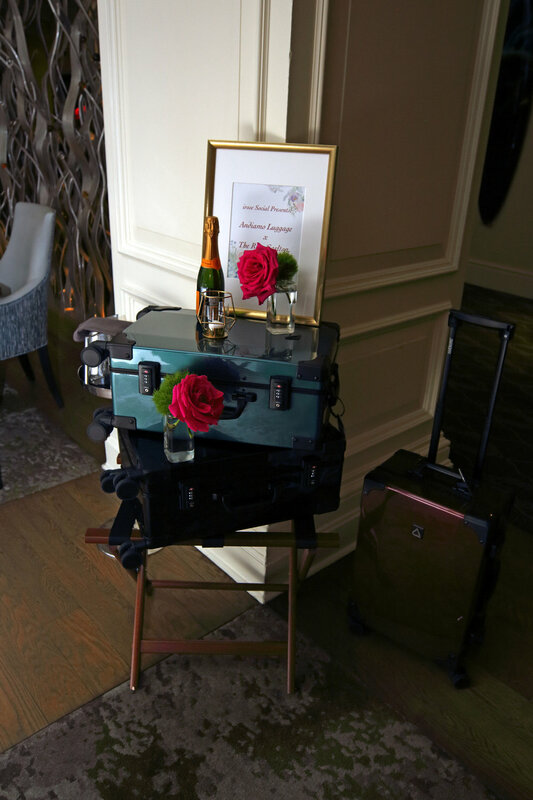 The irose Social team wanted to give a special THANK YOU to the Andiamo Luggage team, our gifting sponsors, and all of our influencer attendees for joining us at our overnight staycation with The Ritz-Carlton, Laguna Niguel x Andiamo Luggage!